Torta is Spanish (also Italian, Hungarian, Portugues and Croatian) for flatbread. Tortilla is Mexican for flatbread, and literally means “small torta.” With that introduction and definition out of the way, how do you call attention to and merchandise your Torta and Tortilla with any sense of product differentiation? I leave that up to marketing minds far more astute than mine. But can at least document this Handmade Tortas Flatbread Wood Tower. 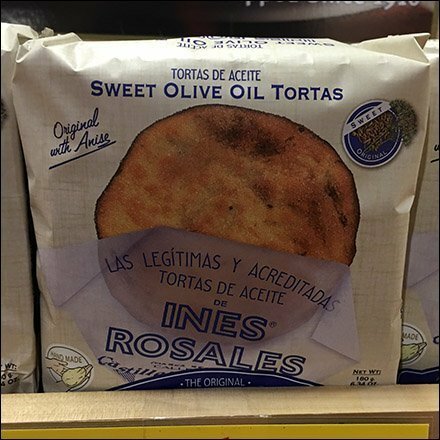 Look close to see that packaging is indeed unique specifying “Sweet Olive Oil Tortas” and “Original with Anise” and “Hand Made” benefits. Sadly for a “gringo” I am still not sure of what I am being offered and might wander off in search of “Lavash” or even a plain ordinary pizza shell. I liked the presentation, just found it was not meant to appeal to me, Consider it in the gallery of images.